Let’s face it, all this buzz about visual storytelling and branded content and distribution and amplification can get a bit…well, much. As content geeks, even we have to double check to make sure we’ve crossed our T’s and dotted our I’s. How do we do that? 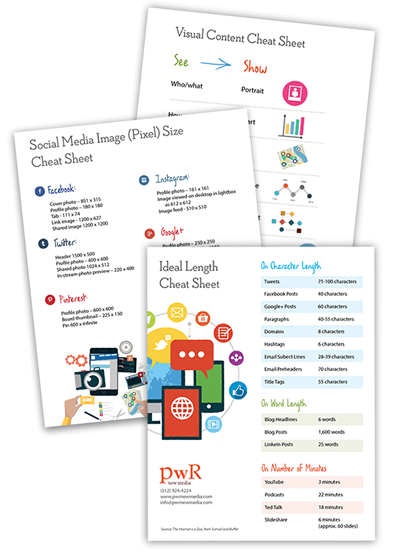 Download our handy cheat sheets and use away–we hope you find them as helpful as we often do! Subscribe to our bi-monthly newsletter, Powerlines. To view past issues of Powerlines, click here.